“What on earth has happened to the word ‘issues,’ that lowly, dutiful, and colorless bureaucrat of a noun? How did such a businesslike and antiseptically neutral word, the semantic equivalent of the man in the grey flannel suit, become transformed into one of our era’s most favored and most versatile euphemisms—a politely opaque nugget of soothing and pseudo-insightful psychobabble, liberally used by talk-show hosts and social-services types, a word whose reticent and clinically rational demeanor artfully conceals the ungenerous and often highly judgmental spirit in which it is so often offered? 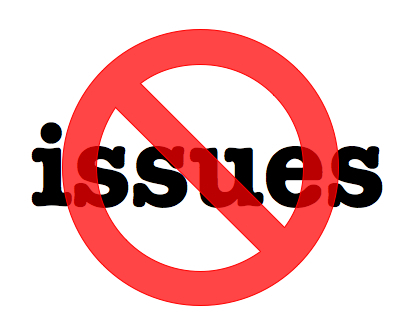 Any person using the term ‘issues’ is showing that he or she cannot be bothered to state with openness and precision the real source of the trouble. “For make no mistake. To be identified as someone who ‘has issues’ is to stand accused, albeit with the utmost delicacy, indirection, and subtlety, of psychological unfitness or moral failing. The charge may be leveled ever so sweetly, ever so compassionately. But suggesting that someone ‘has issues’ is our way in these sweet and compassionate times of saying that that person cannot be taken entirely seriously as a rational being. The carefully nondescript quality of the word ‘issues’ is meant to suggest that there might be some kind of undisclosed further information to be had about the subject, information of which the speaker is in possession but is unwilling to disclose, whether out of charity or discretion.